You have many choices after and during your military service, and you’re making an important one by continuing your education. 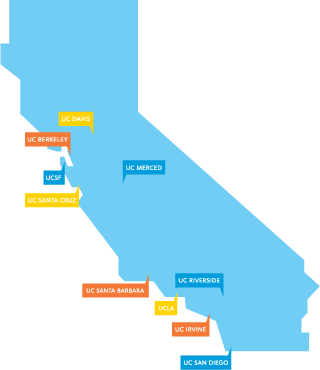 California offers many higher education opportunities, including three different public school systems — the University of California (UC), California State University (CSU) and California Community Colleges (CCC) — and various private institutions. To figure out what’s best for you, think about your interests and career goals, and research what programs and majors each school has to offer. If you decide that UC is the place for you, you’ll find that each campus offers an incredible range of experiences and support programs, especially for the military service community. As a UC student, you will have access to numerous services and programs, including priority registration for classes and veteran-specific campus orientation. And all of our campuses have dedicated veterans coordinators who can help connect you with career centers, academic advisors, student mentors and student veterans groups across campus. They are happy to answer all of your questions, even if you’re not yet ready to apply to UC. California colleges has a good overview of higher education and career options in California.